This is where Snapthread fits into my iPhone. For the times I want to share a Live Photo with a non-iPhone toting friend, Snapthread quickly converts Live Photos into a three-second video. 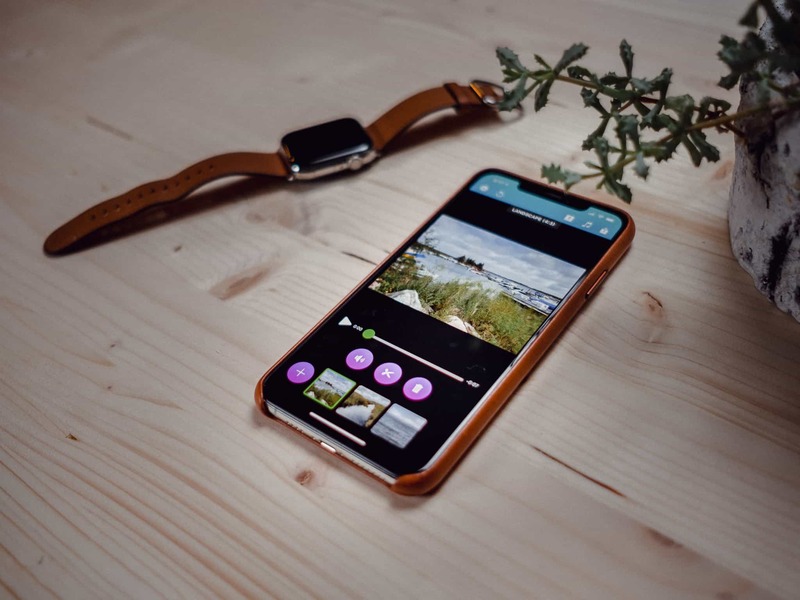 You can string together multiple videos and Live Photos, add an introduction slide to the video, add a quick soundtrack to really build out the Live Photo conversion, and export extremely quickly. 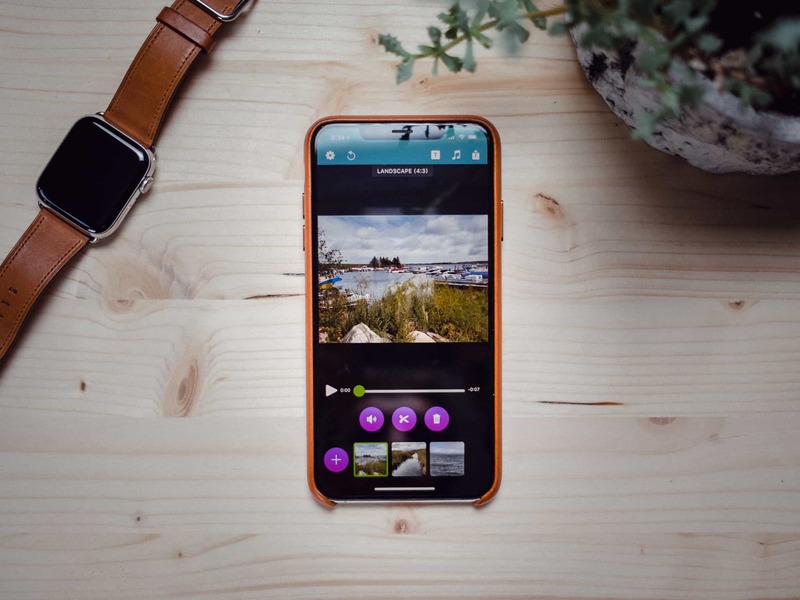 Becky Hansmeyer’s Snapthread is one of those apps that fills a niche perfectly and is worthy of being on every iPhone for those times you need to share with an Android user or need a video for the web or Instagram. 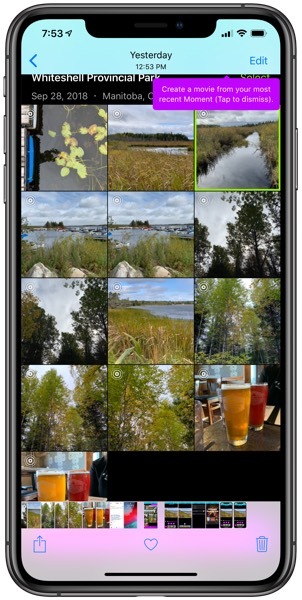 After you’ve downloaded Snapthread, Snapthread whisks you to your camera roll to select from any of your Live Photos. You can add as many Live Photos as you’d like right from this first screen. Once added, your Live Photos are combined and converted into a video. You may want to edit a few details after the conversion has taken place. 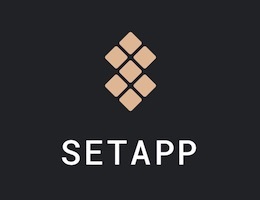 But if you’re simply looking to convert a Live Photo to a video, adding a Live Photo to Snapthread and immediately exporting back to your camera roll will do the trick. You can add Live Photos and videos and Snapthread will combine the multiple types of media into a quick video as well. 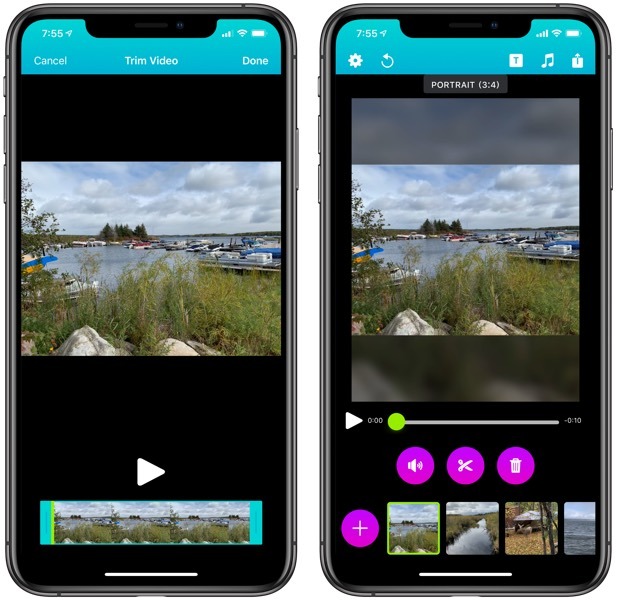 Snapthread can be downloaded for free and you can string together up to 30 seconds of video with a watermark with the free app. By upgrading to Snapthread Premium for only $3.99, you can remove all limitations. Snapthread is extremely easy to use and it all starts with the quick import of Live Photos into the editor. Once Live Photos and videos have been imported into Snapthread, you can edit each individual segment of the Live Photo video to your liking. 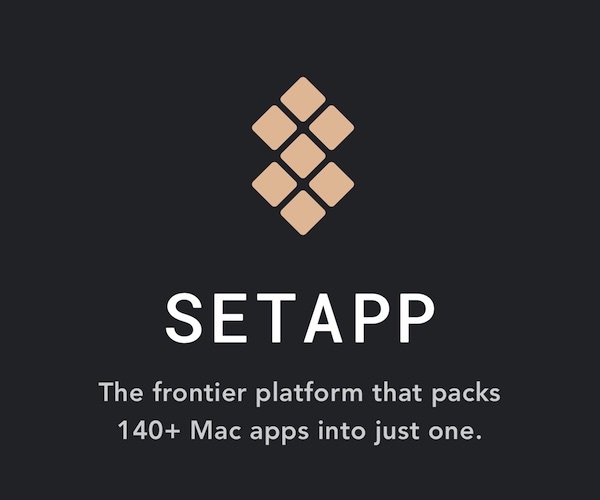 Simply tap on any of the added media segments at the bottom of the screen to find some popup editing tools. 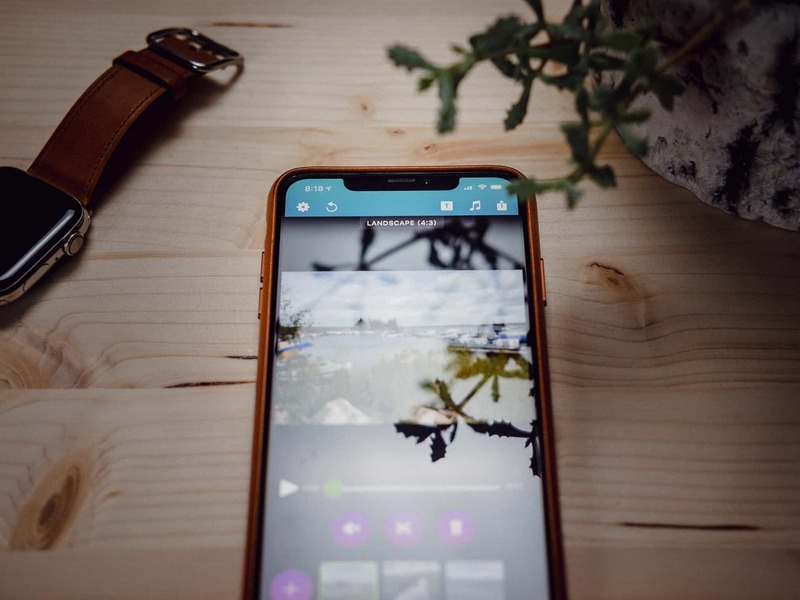 Here, you toggle sound for that media segment, trim the chosen media segment, crop the segment to better fit alongside your other Live Photos and videos, or trash the segment altogether. In the top bar you’ll find a gray bar with the video’s current aspect ratio. 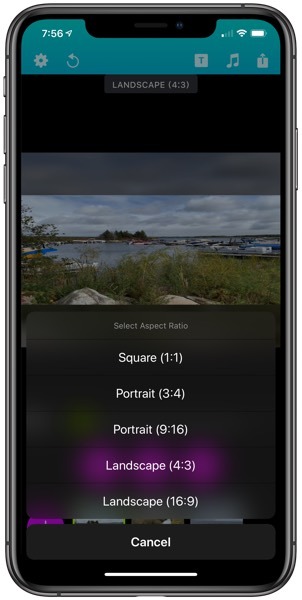 If you want to change the aspect ratio to better fit different Live Photos and videos, or if you want to make your video Instagram-ready (1:1), tapping this gray bar provides options for quickly changing aspect ratios. Hansmeyer notes in Snapthread’s FAQ that you an add videos shot by other video cameras (still photographs are not yet supported but will be supported in a future update). The key to video working from other cameras is the video’s aspect ratio; as long as the video is taken in 16:9 or 4:3 format, the video can be used in Snapthread. Lastly, you can hit the little Refresh button in the top left of the main screen to clear all media in the video and start fresh. Snapthread takes this Live Photo conversion one step further by allowing for simple creation of a title screen or to add a soundtrack to your converted video. 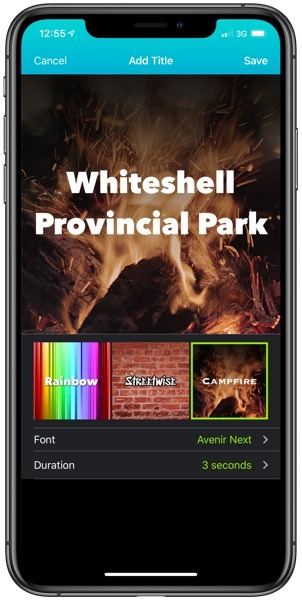 Tap the T button in the top bar and choose some title screen options for your video. You can choose from a variety of fonts, change how long the title is played for, and select from 16 different backdrops for your video. You can also hit the musical note icon to choose background music for your video. You can select from music on your iPhone or from pre-selected Creative Commons options. 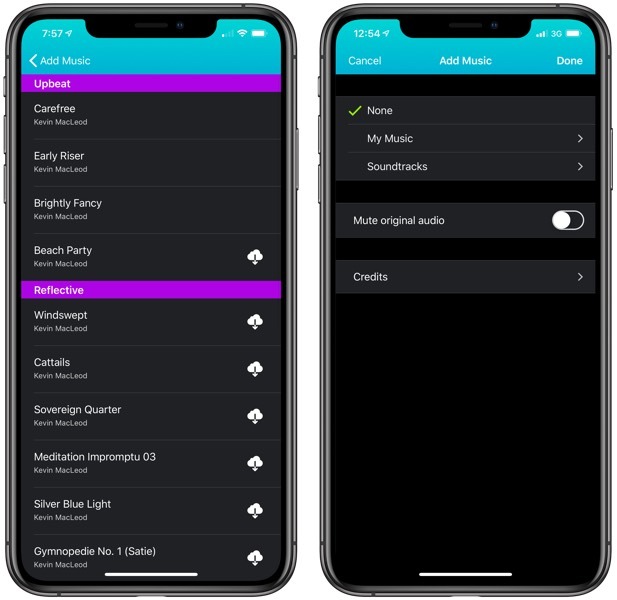 If you want to play only music and want to eliminate the Live Photo’s background audio, you also have an option to mute all original audio. Once your Live Photo video is complete, hit the share sheet icon in the top right corner and export your video anywhere iOS’s share sheet will take you. I generally save the video to the camera roll first and then share from there, but you can simply create the video and send it in a message directly from the share sheet. I find Snapthread equally great for sharing Live Photos on Instagram or on the web. 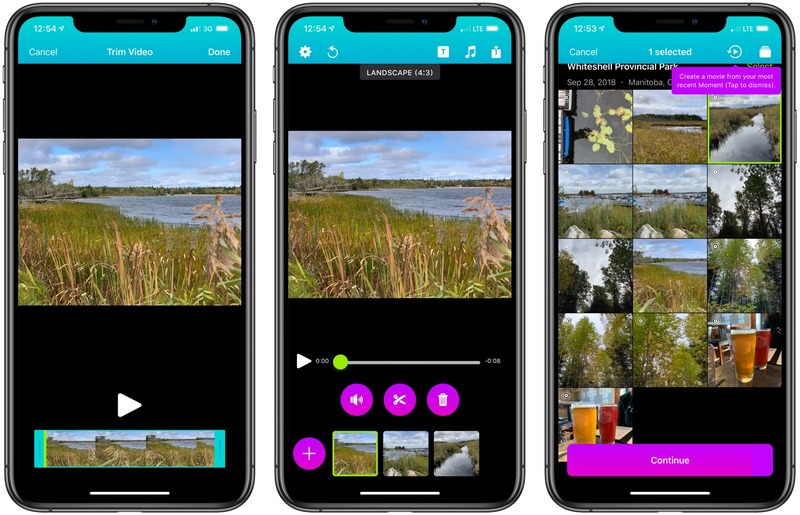 Since support for Live Photos simply hasn’t gained traction outside the iOS ecosystem, the quick and easy option to export into a standard video format is invaluable. Snapthread is a great option for anybody looking to share Live Photos with everyone in their contacts book. You can download Snapthread for free on the iOS App Store and unlock Snapthread Premium in the app for only $3.99.